Valentine's Day is a few days away and no doubt gifts will be being purchased right as I am writing this gift guide up for you! It can be easy to pop to the shops and pick up some cliché gift (but it's worth noting, chocolates and flowers are always nice no matter how obvious! 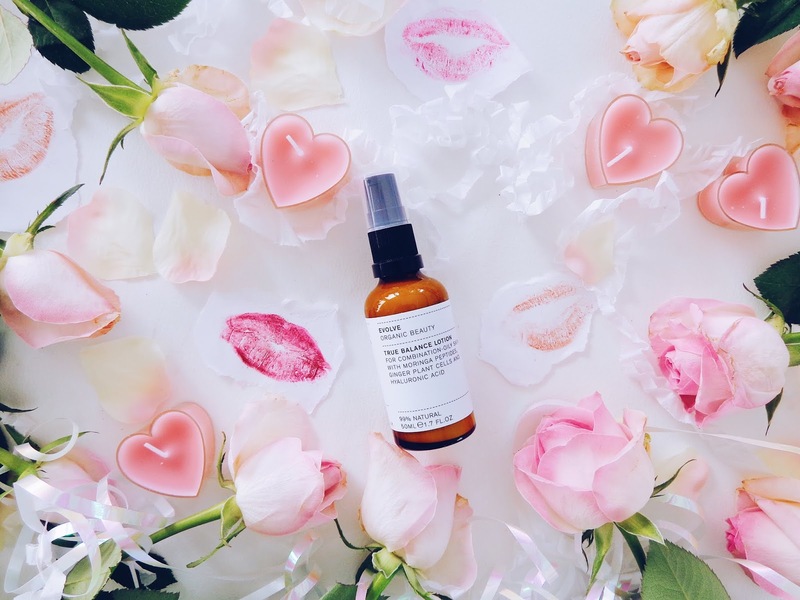 ), but here I am with an alternative beauty gift guide with some of my top beauty and skincare picks for February 14th. Each is splendid in it's own way and is a little bit of true luxury. 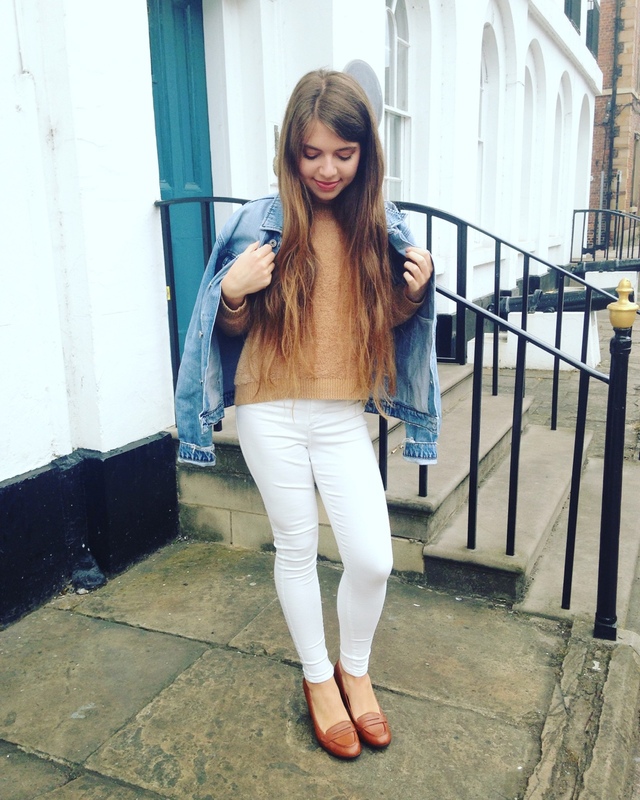 So grab a cup of tea and sit back as I show you some perfect gifts for Valentine's Day! 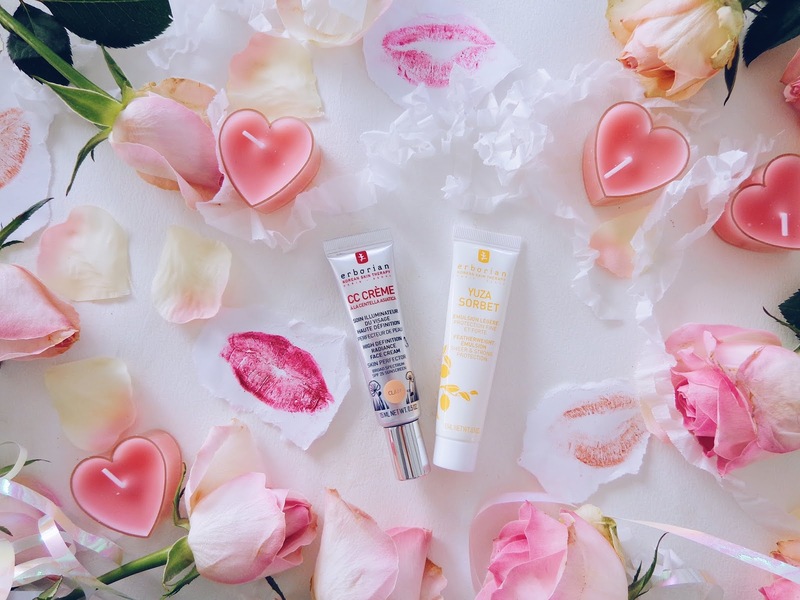 Korean skincare is making waves across the UK beauty scene. 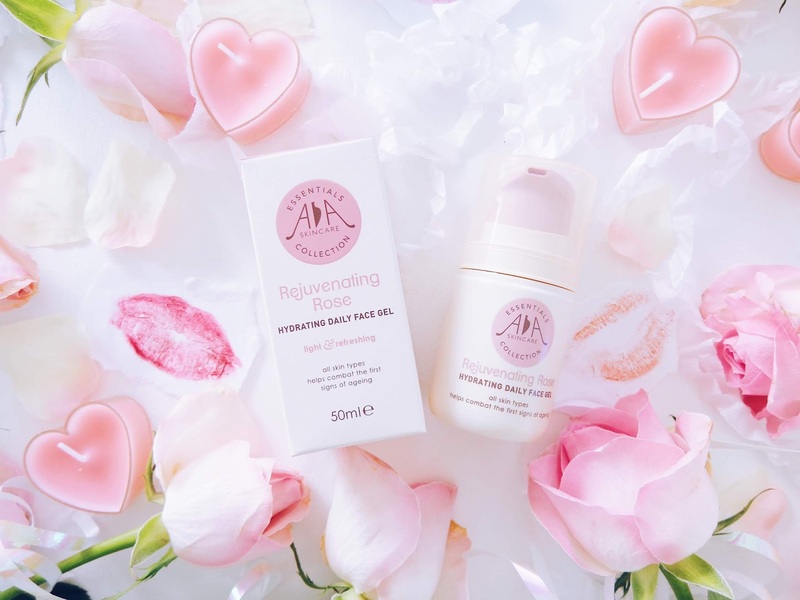 With it's insightful beauty technology and amazing variety of skin enhancing ingredients and goodness packed in, there's no wonder it's become such a firm favourite and raved about. 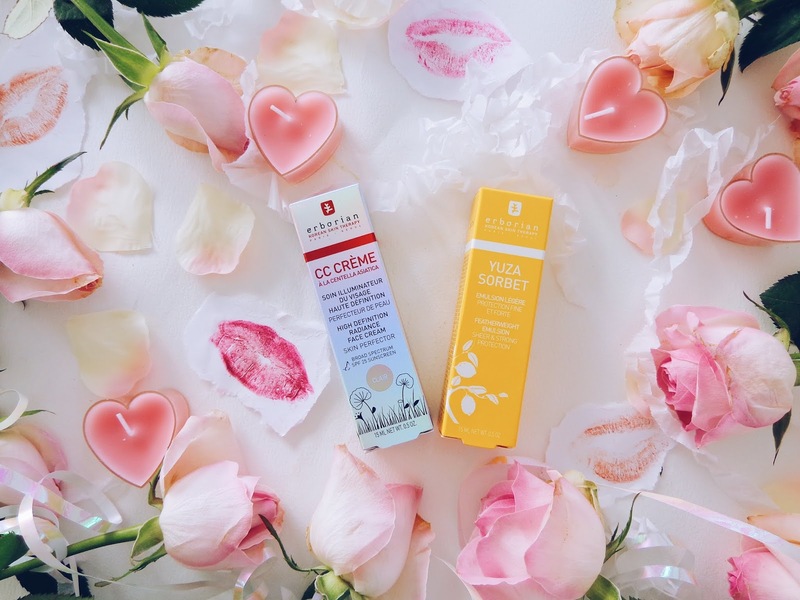 Erborian's CC Crème and Yuza Sorbet are two of the dreamiest skincare essentials I've tried and really lift the complexion and help you to exude that inner radiance. 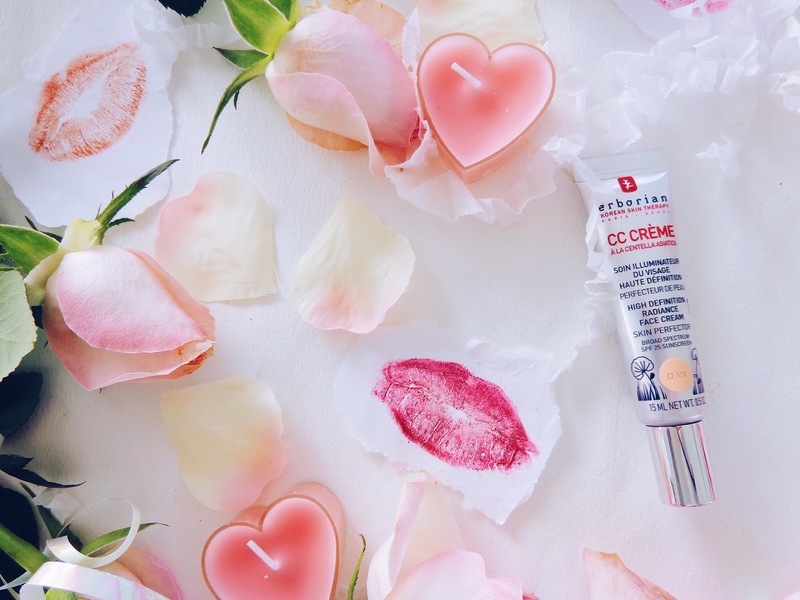 The CC Crème actually won in the CC Cream category at the Tatler Beauty awards so it's worth the hype surrounding it. I've been using the shade 'Clair' and it is in SPF 25 (another fantastic feature of this product!). This is the fairest shade in the CC Cream Collection and it is a multi-purpose formula. This "High Definition" illuminator, with its ultra fine texture, contains pigments to enhance your skin's appearance, while enriching and improving it's texture and quality. This product is a perfect combination of skincare and makeup - you achieve a beautiful complexion without the heavy application of full coverage foundation. At first glance the cream appears white, but upon application, it adapts precisely to match your skin-tone, naturally revealing a more even complexion, leaving skin luminous and soft. 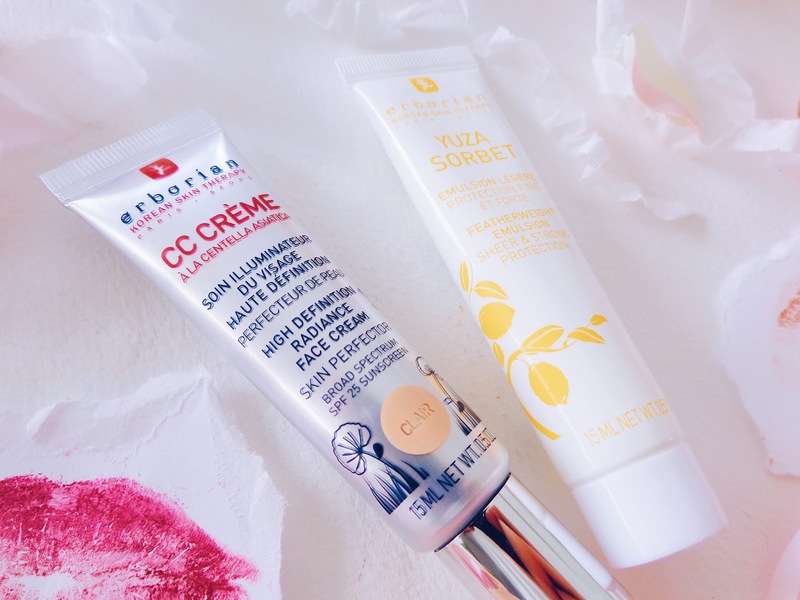 The Yuza Sorbet is a skin shield in a tube. Perfect for those who are living in the city, where skin undoubtedly faces environmental stressors, this product acts as a protection against all that can cause the first signs of ageing. Made with Korean herbs that are renowned for their skincare benefits, Yuza Sorbet (shop here) acts like a second skin: it envelops the skin, making it feel protected against environmental stresses. The deliciously-light texture contains micro capsules with antioxidant properties to help fight the first visible signs of ageing related to harsh environmental factors. The skin looks more radiant and feels stronger. • Gives skin a long-lasting glow. I personally adore skincare that really protects my sin and ultimately does more than simply hydrating it. This is an all round skin essential for a radiant appearance and a healthy complexion. 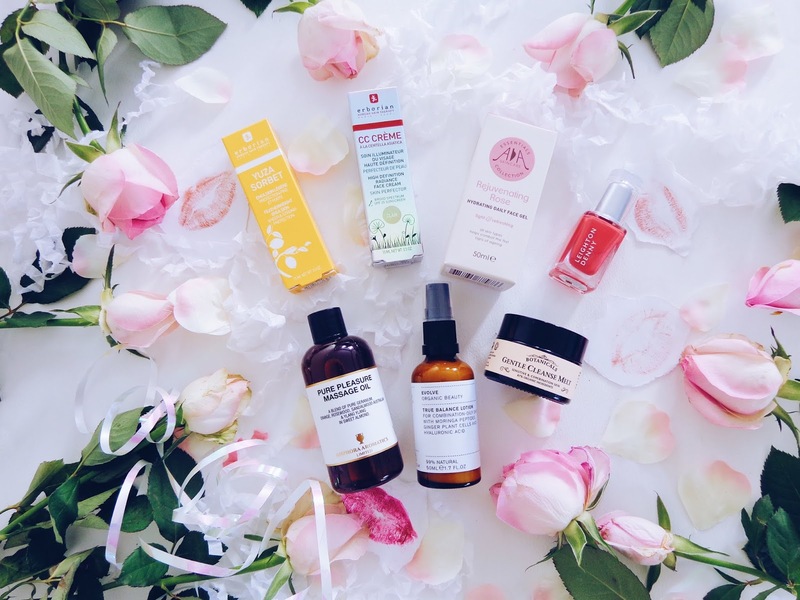 You may have read previous blog posts which I wrote on Evolve Organic Beauty before. I love their products and have always found they work well for my skin type. 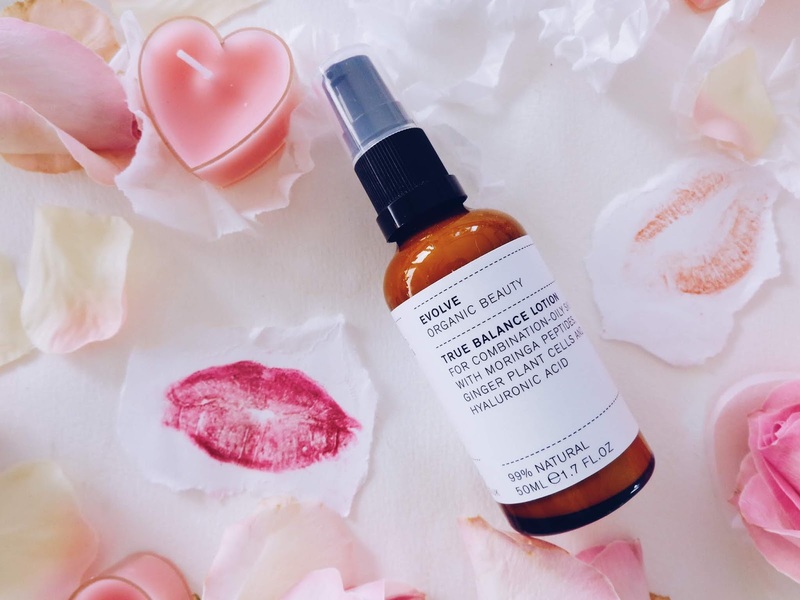 Their *new* product, the True Balance Lotion is ideal for controlling oils and balancing out the skin's PH. Most suitable for oily skin, this lotion effectively improves the appearance of skin in 28 days. The ginger plant cells which are in it are renowned for their complexion perfecting properties. Along with moringa peptides, avocado extract and hyaluronic acid, this moisturiser combats shiny skin to leave it matte and balanced. Hyaluronic acid has been in the beauty spotlight for a while now. The reason for this is its superior hydrating properties. Able to sink deep into the skin, it locks in moisture and help to combat ageing. It also helps skin to look fresher and improves its overall tone. It's a yes from me! Natural, honest ingredients make up the collection of skincare and beauty must-haves from Amphora Aromatics. 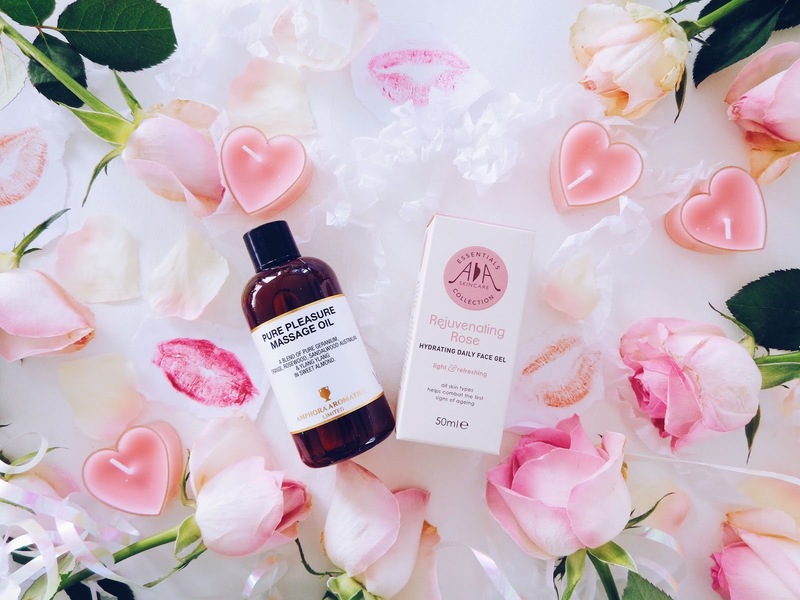 I've been trying out their Pure Pleasure Massage Oil which can be used instead of body lotion after a bath for example and their Rejuvenating Rose hydrating daily face gel which smells just like Turkish Delight! The Pure Pleasure Massage Oil is an aromatic combination of essential oils mixed in the carrier oil, Sweet Almond. I use Sweet Almond Oil if I'm mixing my own blends too and it is a wonderful base. The scent comes from essential oils including Geranium, Ylang Ylang and Australian Sandalwood. This is a luxurious, calming and balancing combination! The Rejuvenating Rose gel is light and refreshing and is able to combat the first signs of ageing. It is really aromatic and evocative of a rose garden in mid-summer. Truly delightful. Rejuvenating Gel with Rose combines natural ingredients and essential oils to gently hydrate and replenish dry and tired skin. Light and refreshing it is ideally suited to daily use. 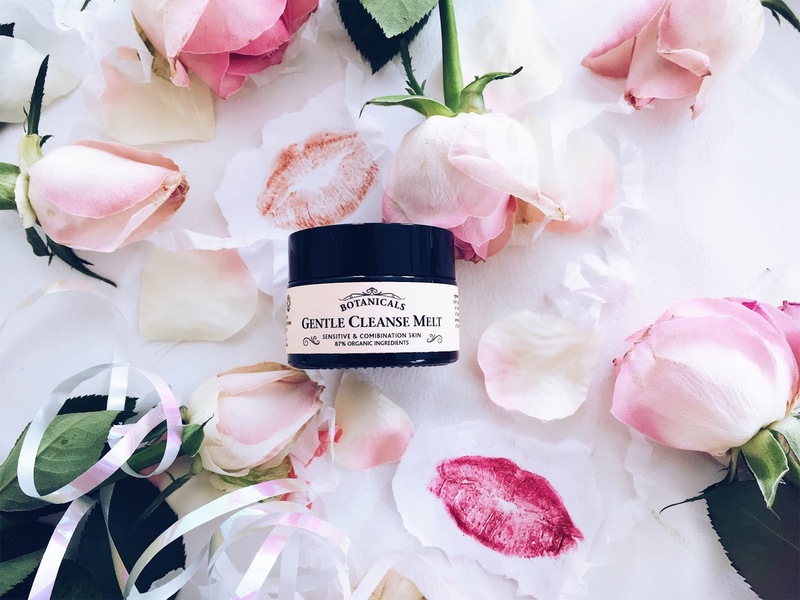 The new Gentle Cleansing Melt from Botanicals is ideal for sensitive and combination skin. Perfect for cleansing the day away and leaving your skin hydrated, it is really effective. It's also made from 87% natural ingredients. The melts have a semi-solid consistency, which gently melts on contact with skin. They are designed to penetrate the skin's lower layers, removing impurities and restoring natural balance. Their formulation is based on the homeopathic principle of 'like cures like' (oil in skincare cures a shiny complexion). Conventional cleansers can strip the skin of its natural oil, forcing it to go into overdrive to produce more oil, and causing the skin to become imbalanced and problematic. Botanicals cleansing melt is different. It will dissolve and lift make up, dead skin cells and other impurities, whilst retaining the skin's natural balance. As it's Valentine's Day, a pop of pink is surely the way forward! Leighton Denny have a HUGE selection of different nail colours which you can choose from. If you love a pink nail like me, then you'll be spoilt for choice as there are at least 15 different shades of pink available online! This shade is called 'Coral Reef'. 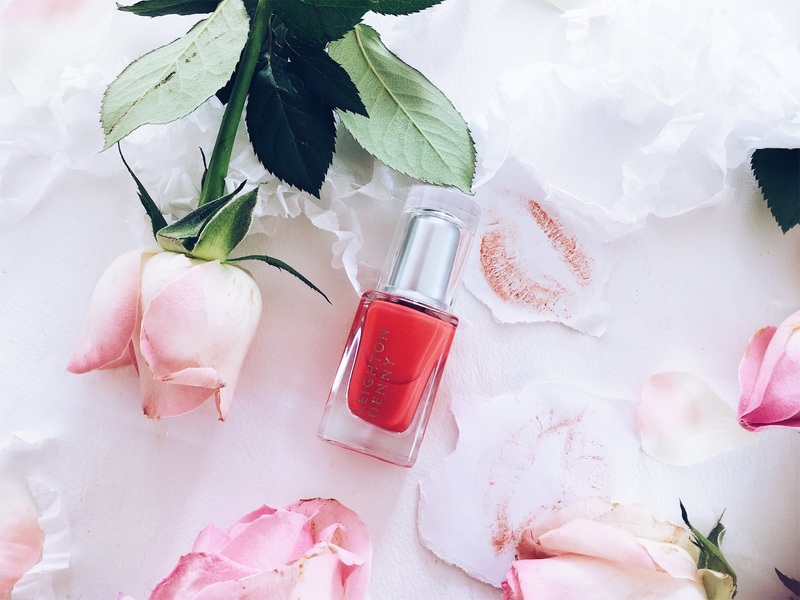 Simply apply a base coat, followed by two coasts of your Leighton Denny polish and top with a clear or glitter top coat and you're manicured for Valentine's Day! This post contains PR samples. All views remain honest and my own.